Stay up-to-date on our news and highlights. Undergraduate research assistant Morgan Anvari was one of 70 undergraduates to present at the Psychology Undergraduate Research Fair. Morgan presented on a study she conducted in Dr. Clara Hill’s research lab. Specifically, she explored associations between client expression of emotion and therapists’ skill types in psychotherapy sessions. Morgan was awarded the 'Outstanding Poster - Bronze Award’ based on faculty judges’ feedback. Undergraduate research assistant Hannah Tralka was awarded a Maryland Summer Scholars Award. 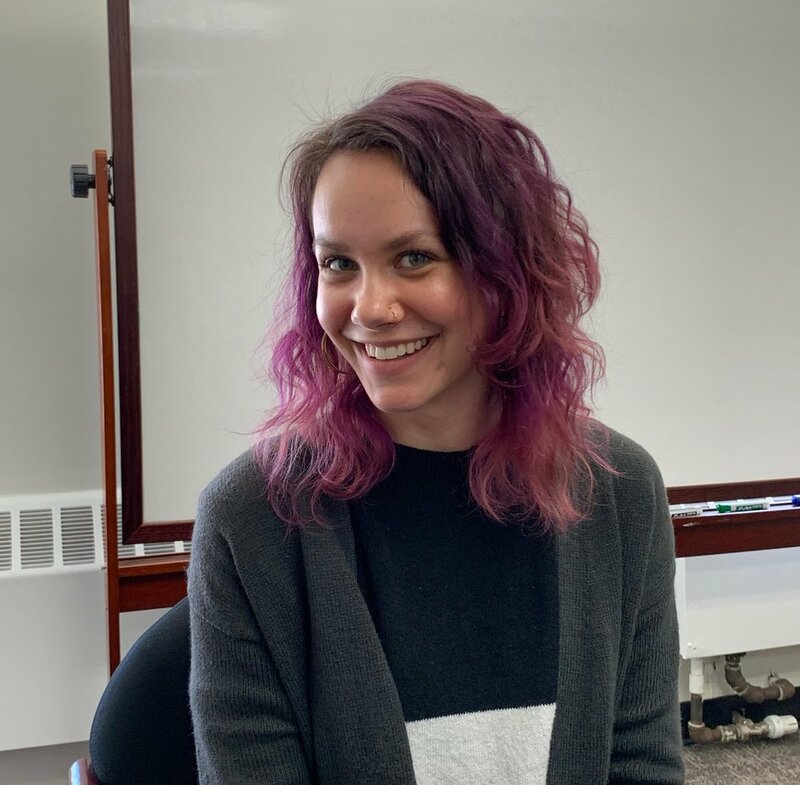 This award will support Hannah to work at GMAP over the summer, where she will conduct a secondary analysis with data from ‘Act Healthy’, a behavioral activation intervention for HIV-positive individuals with problematic substance use at an inpatient treatment center in DC. Hannah will explore the effects of sexual and gender minority status on treatment outcomes, including time to relapse. Congratulations, Hannah! 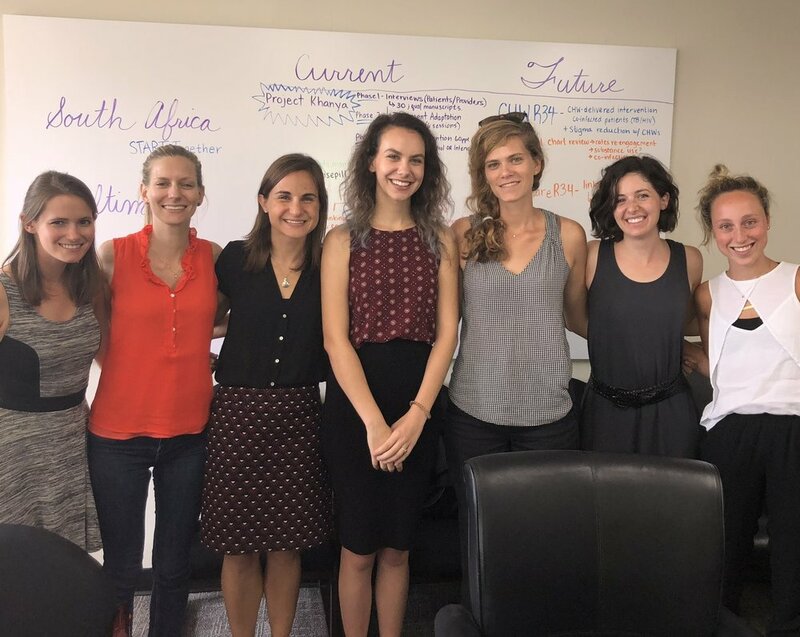 Dr. Belus recently traveled to Durban, South Africa to meet with collaborators at the Human Sciences Research Council (HSRC) and organize details to get started with Project START Together. In this photo, Dr. Belus poses with Lindani Msimango and Yvonne Mdakane, the qualitative interviewers hired for the first phase of the project. Undergraduate research assistant Christine Wan was awarded a Summer Scholars Award through the University of Maryland’s Behavioral & Social Sciences College. This award will support Christine to work at GMAP over the summer, where she will support data analysis for Project Khanya and conduct participant assessments for Project Peer Act!vate. Congratulations, Christine! Emily Satinsky and Mary Kleinman presented a poster on the first phase of Project Peer Act!vate at the Society for Behavioral Medicine’s 40th Annual Meeting and Scientific Sessions. The poster focused on Paul’s Place guest, staff, and peer recovery advocates’ perspectives on how to best adapt a peer-delivered behavioral activation intervention for substance use with guests at Paul’s Place. Emily Satinsky published a systematic review in Health Policy. The review, conducted as part of her Masters in Global Mental Health, explores mental health care utilization and access among refugees and asylum seekers in Europe. Dr. Magidson, Dr. Belus, and Alix Rose recently returned from a training trip to South Africa. 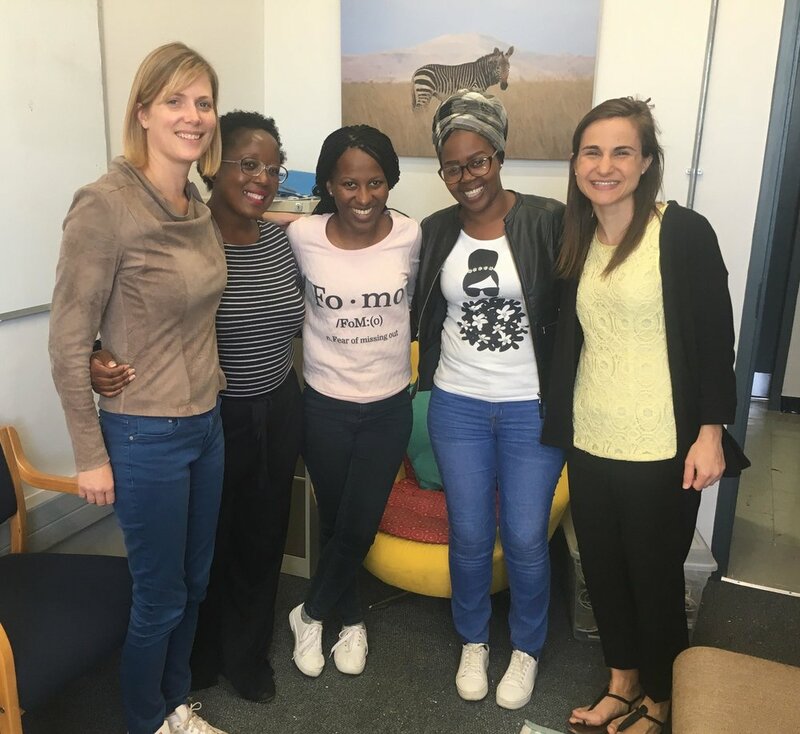 Sibabalwe recently joined the Project Khanya team as an on-site research assistant, so the team spent time bonding and training. Welcome, Siba! The GMAP team had an excellent turnout for a volunteer day at Paul’s Place. We donated clothes from our winter clothing drive and then volunteered greeting guests, serving lunch, sorting clothes, and helping guests shop in the market place. Afterward, we met with colleagues at the University of Maryland Baltimore’s Department of Psychiatry to discuss upcoming collaborations. Dwayne Dean was once again honored for his amazing work as a peer recovery coach. Dwayne received the 2018 Maryland Governor’s Citation award for his outstanding services to the citizens of Maryland at a leadership awards breakfast and meeting. 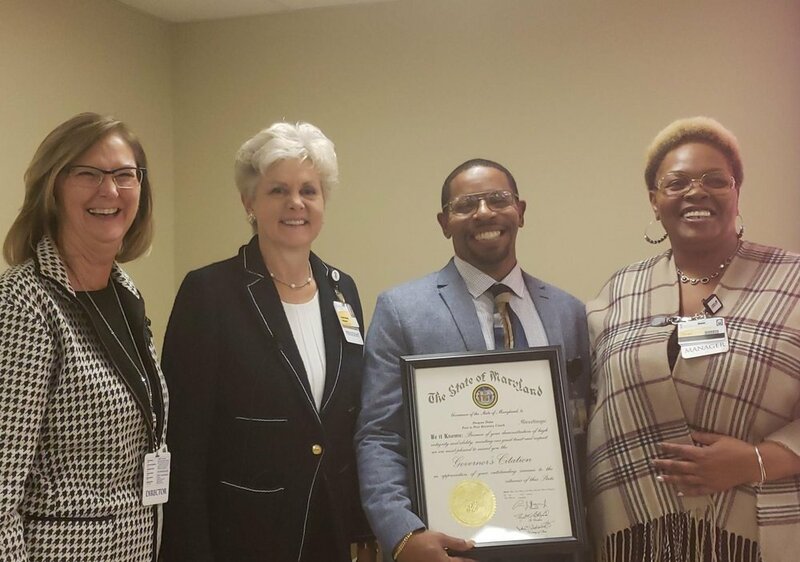 Dwayne and his team at the University of Maryland-Midtown hospital have exponentially improved outcomes in the emergency department by linking over 600 patients to substance use treatment in 2018 alone. Dwayne Dean was awarded the Carroll Conquest Award for Outstanding Leadership at the Behavioral Health Administration’s 5th Annual Peer Networking and Leadership Conference. Peer Recovery Specialists from all over Maryland came together to discuss the recovery movement. Dwayne was nominated by several of his peers and colleagues and was the second ever recipient of this award. The GMAP team met in DC for the annual Association for Behavioral and Cognitive Therapies (ABCT) conference. Project Khanya collaborator Lena Andersen flew in from South Africa, Kristen Regenauer from Boston, and collaborator Steve Safren from Miami. Kristen and Emily Satinsky presented posters, Alix Rose and Dr. Belus spoke on a panel, and Dr. Magidson moderated two panels, participated in a panel, spoke at a symposium, and co-chaired the Behavioral Medicine and Integrated Primary Care Special Interest Group (SIG) meeting. During this SIG meeting, Alix was awarded a graduate student research award! Peer Act!vate’s PRA, Dwayne Dean, was featured in the Washington Post for his work as a Recovery coach at the University of Maryland Medical Center Midtown Campus in West Baltimore. In the face of an overdose epidemic, the Post describes evolving emergency services, including increases in dispensing Medication-Assisted Treatment such as buprenorphine and methadone, as well as integration of peer recovery coaches. Dr. Jenn Belus, Mary Kleinman, Emily Satinsky, and Valerie Bradley met at Paul’s Place for GMAP’s inaugural volunteer day! After a tour of Paul’s Place and an introduction to its amazing resources, the team got on their hairnets and gloves for an afternoon serving lunch. We plan to schedule many more volunteer days in the future! The GMAP team gathered at the Welcome to PSYC day to meet undergraduate psychology students and discuss our research and opportunities to get involved. We are so excited by the interest in our lab! If you would like to apply for an undergraduate RA position with GMAP, please complete this application. We look forward to hearing from you! Doctoral students, Alix Rose and Mary Kleinman, and postdoctoral fellow, Dr. Jenn Belus have officially arrived on campus! The full UMD team came together for the first time for a kick-off ice cream party! We spent the meeting discussing our current and future research projects and mapping out roles for the upcoming year. Drs. Magidson and Belus and Kristen Regenauer recently traveled to Cape Town (August 10-18) to meet with the project team. While they were in South Africa, the team conducted participant Screening Interviews and the first Baseline assessments--the Project Khanya Intervention has launched and is underway! Kayla Griffin presented her poster comparing feedback on a peer-delivered Behavioral Activation Intervention for substance use in Cape Town, South Africa and Baltimore, Maryland at the BSOS SRI Research Symposium on July 27th. During her time with GMAP, Kayla had the opportunity to conduct qualitative interviews with guests at Paul's Place, Inc. in Baltimore. The research symposium marked the culmination of the two-month Summer Research Initiative (SRI) program through the University of Maryland's Behavioral & Social Sciences College. Emily Satinsky, Hannah Tralka, and Kayla Griffin attended the Maryland Harm Reduction Summit, put on by the Maryland Behavioral Health Administration and the University of Maryland Training Center, in Baltimore on June 28th. Incoming student, Mary Kleinman, helped plan the hugely-successful event. Throughout the day, the GMAP team learned about and discussed racial justice, trauma, and client-centered care. After hiring Dwayne Dean as our PRA, the full team met for a Phase I planning meeting on July 12th. One week later, we began conducting key informant interviews with guests at Paul's Place. Focus group coming soon! The Partnership for Drug-Free Kids recently featured Dr. Magidson's research from Massachusetts General Hospital. This study demonstrates reduced hospitalizations among patients with substance use disorders following recovery coach contact. Research findings underscore the importance of our peer-delivered substance use interventions in Cape Town and Baltimore. The American Society of Addiction Medicine presented Dr. Magidson with the ASAM Abstract Submission Award: Young Investigator. The award is presented to the highest scoring abstract in either round of abstract submissions, with a primary author who is within five years of completion of a medical residency or receipt of a doctoral degree. Her award was presented during the Awards Luncheon on April 14th during the ASAM Annual Conference in San Diego. Dr. Magidson presented at the Society of Behavioral Medicine's 39th Annual Meeting and Scientific Sessions on April 13th. 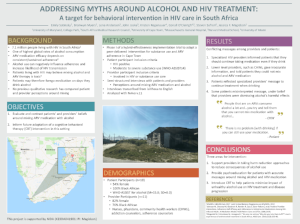 Her presentation, titled "Adapting evidence-based, peer-delivered substance use treatment for HIV care in South Africa," covered formative findings from Phase I of Project Khanya. Particularly, her talk discussed patient responses to Behavioral Activation and patient and provider beliefs regarding who should deliver the intervention. Emily Satinsky presented a poster on patient and provider perceptions around mixing alcohol and ARV medication at Reimagining Health: Public Health Maryland on April 3. In addition to presenting qualitative findings from Project Khanya, she judged undergraduate and graduate posters at the session. Dr. Magidson recently traveled to Cape Town (March 17-24) to train our newly-hired peer interventionist. Dr. Magidson and the local team set up final details in South Africa and prepared for implementation. We are almost ready to launch Phase III of Project Khanya! 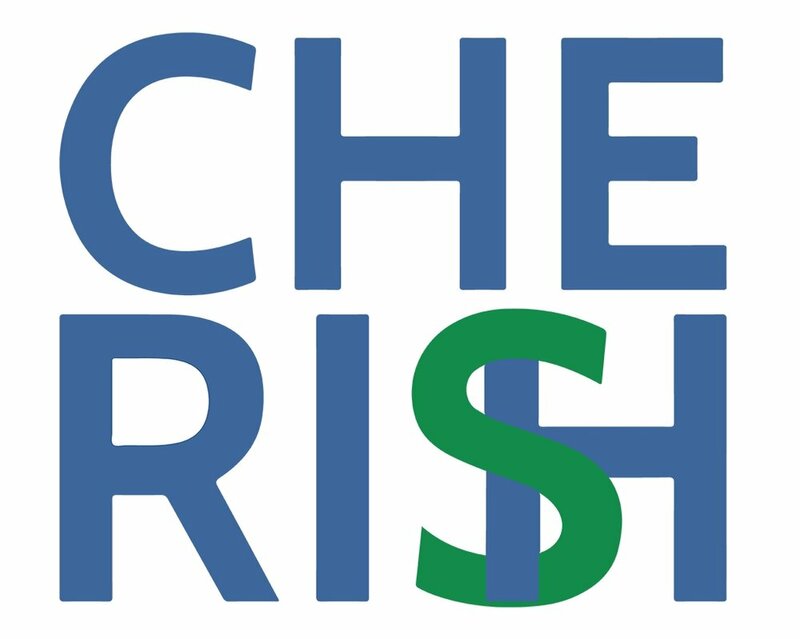 Emily Satinsky attended the NIH-funded Center for Health Economics of Treatment Interventions for Substance Use Disorder (CHERISH) training in health economic evaluation on March 19. She learned to review and set up economic evaluation studies focused on substance use, HCV, and HIV. The Johns Hopkins Bloomberg School of Public Health in Baltimore, Maryland has accepted Dr. Magidson into the fourth cohort of Scholars of the Mixed Methods Research Training Program for the Health Sciences. She will attend a retreat between June 18th and 20th during which she will prepare and present her mixed methods project. January 1st marked the launch of our project in Baltimore: Utilizing Peer Recovery Advocates to Implement an Evidence-Based Intervention to Decrease Substance use among Low-income Minority Adults. We are currently working with Paul's Place, a community outreach center in Pigtown, Baltimore to hire a Peer Recovery Advocate (PRA) and begin the formative research.